The author of the books for children. Chris Wever is a consultant child psychiatrist who works in private practice in Queensland Australia. He has a special interest in autistic spectrum problems, obsessive-compulsive disorder and anxiety disorders in children. These difficulties create great problems in a child’s life and upset the wellbeing of the child’s family. The trouble they can cause is often underestimated. The books that Chris writes are based on the scientific evidence about each psychiatric issue and well tested clinical treatment programs that he has developed. 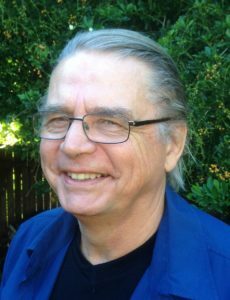 Chris has published detailed treatment guidelines for general practitioners in the national medical magazine, “Australian Doctor”, and he has also written chapters for text -books on child psychiatry. He frequently speaks at conferences for clinicians and educators. Chris’ straightforward and accurate way of talking about childhood mental health problems is an essential part of his effective and humane clinical practice and this approach is evident in all of his Shrink-Rap Press books.